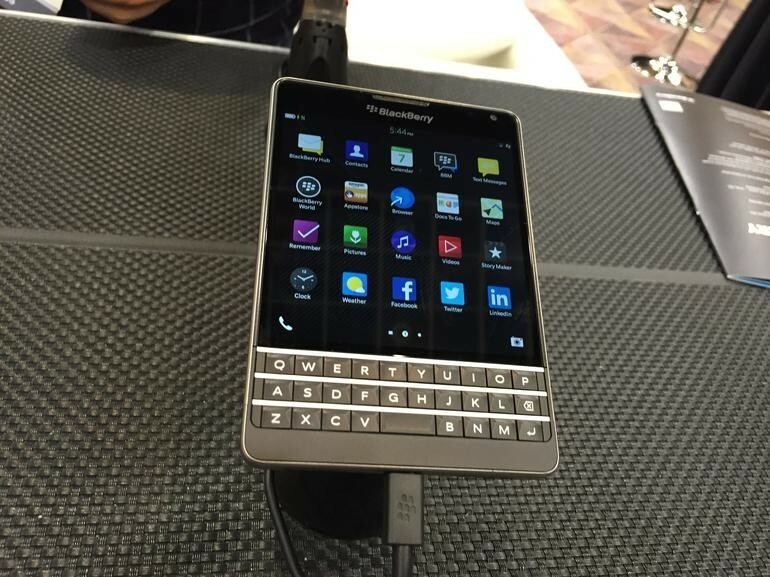 BlackBerry's two newest smartphones, the Passport 74 and Classic 70 , will be available on AT&T starting February 20. Both devices have already been available online for some time, but AT&T is the first US carrier to pick them up. AT&T will be offering the Passport exclusively, which will retail for $200 under a two-year contract and $650 without a contract. The device has been redesigned for the carrier -- it features round edges instead of the sharp corners that the original device sports. Aside from that change, the device is similar to the original Passport, which was launched in September and sports a 2.2GHZ quad-core Qualcomm Snapdragon processor, 4.5-inch square display, full QWERTY keyboard, 13-megapixel rear camera and 2-megapixel front camera, and 32 GB of storage. The business-oriented BlackBerry Classic that was launched in December will also become available at AT&T online and retail stores beginning this Friday. The Classic sports a 1.5 GHz Qualcomm Snapdragon Processor, a 3.5-inch touchscreen display, 2GB RAM, 16GB internal memory, 2MP front- and 8MP rear-facing camera, as well as Corning Gorilla Glass 3 protection. The smartphone will cost $50 with a two-year contract and $420 without a contract. Both devices will also be available through the carrier's Next financing plan.